Since 1989, KC Computers has been providing highly professional IT services, backed by quality products from best-of-breed manufacturers. Although we service customers nationwide, our primary service territory covers southeastern Wisconsin, including the Madison, Milwaukee, and Janesville areas. 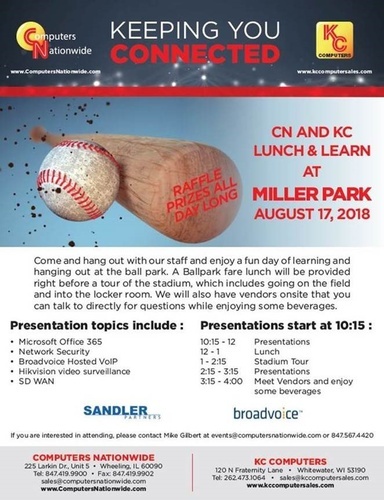 Join us for a Lunch & Learn at Miller Park!